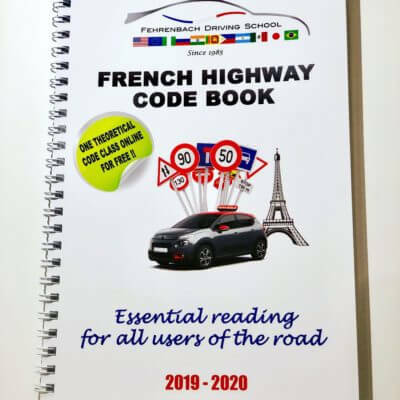 “FRENCH HIGHWAY CODE BOOK” updated – written in english by Fehrenbach driving school. And good news! In addition to this book and exclusively for you, we offer (free of charge) 2 hours of online code class in english (value 30€). This Booking Pass will allow you to book your online code class without having to pay with your credit card for each booking. It's more secure and you can manage all your booking directly to your online account. 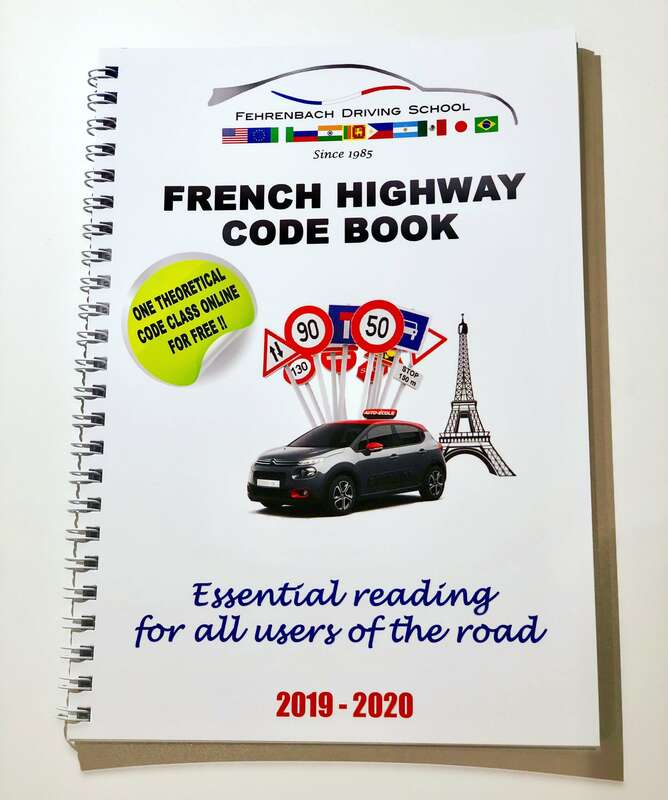 The FRENCH HIGHWAY CODE BOOK is essential not only for the candidate who needs to get the French-European license but also for the drivers who have a valid home country license. Good news! 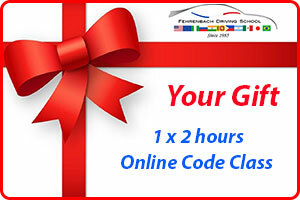 In addition to this book and exclusively for you, we offer 2 hours of online code class. 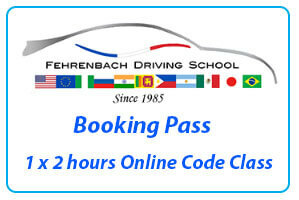 A Booking Pass (value 30€) will appear free of charge on your frenchlicense.eu account and it will allow you to book your online code class at the date you want, directly on our online calendar. Now, it’s Time to Plan here !